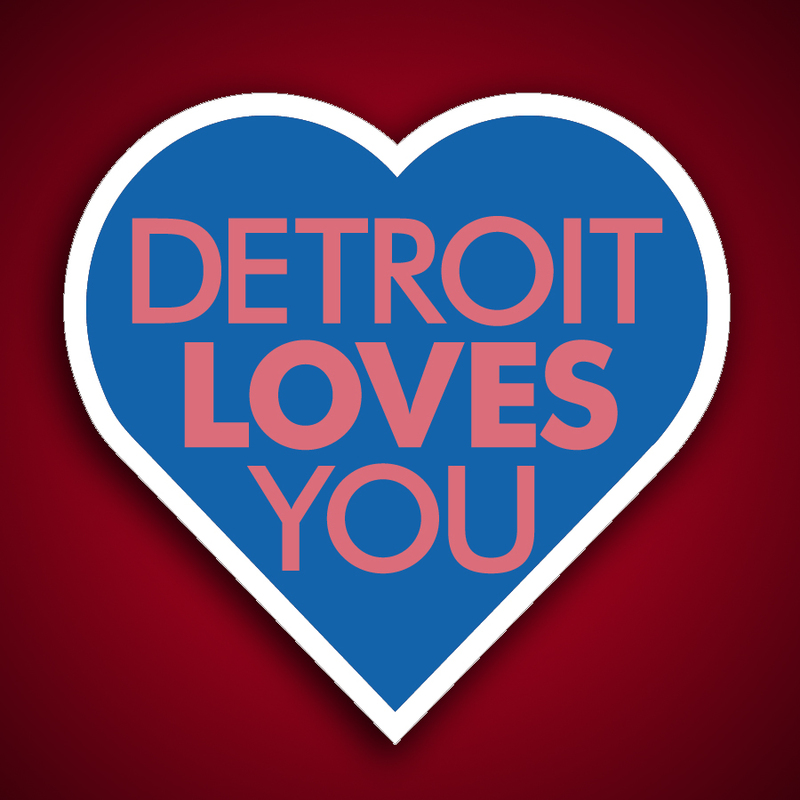 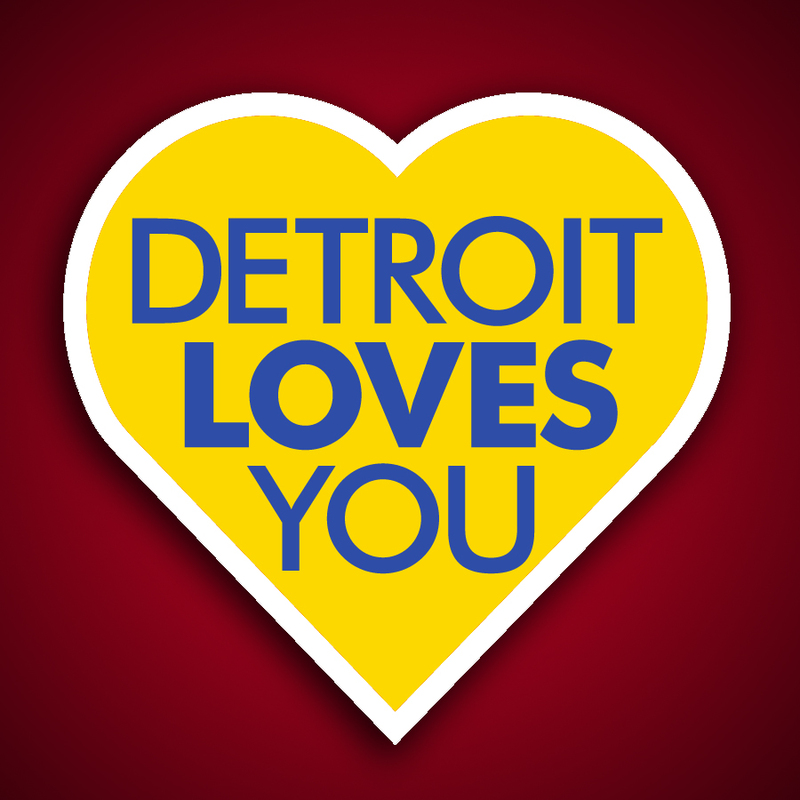 These are a few of the Detroit loves you stickers that came in packs and singles. 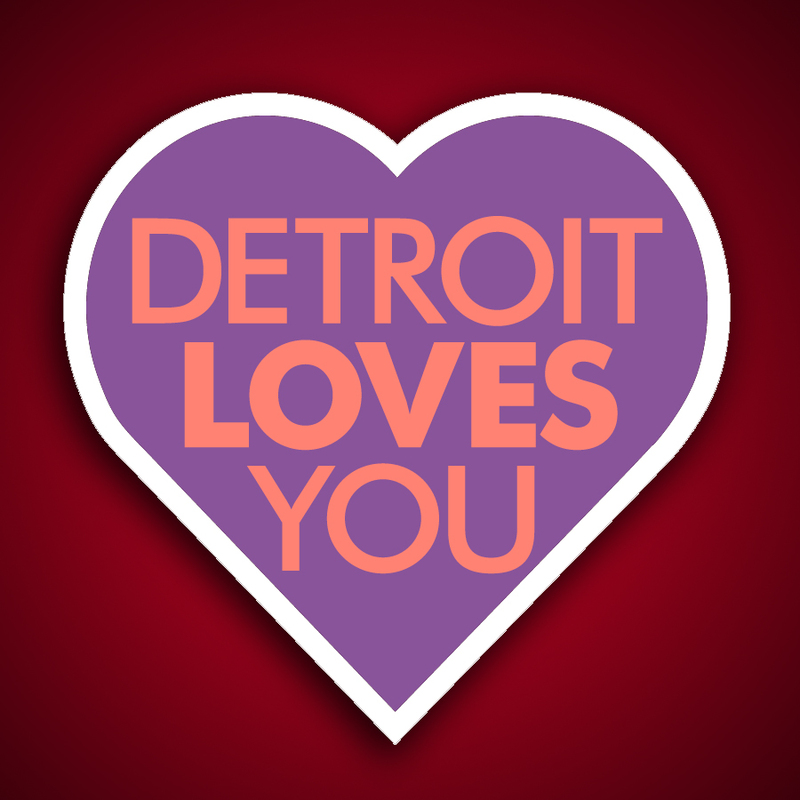 We will be offering them on our site again really soon. 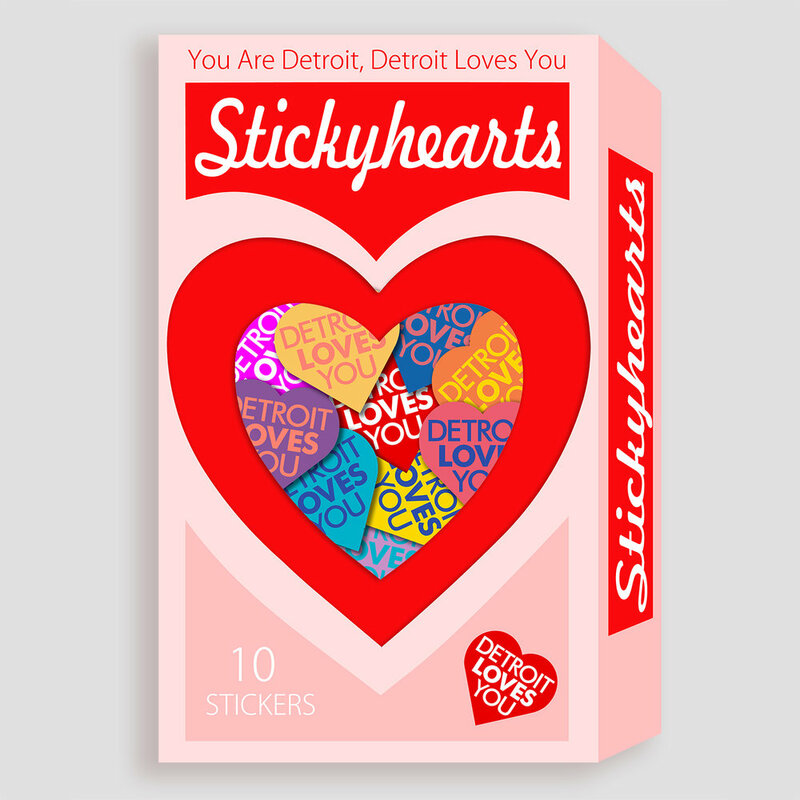 In the meantime you can come by the shop and pick some up!